Amy Denio (www.amydenio.com) is a composer, singer, multi-instrumentalist, audio engineer, international collaborator, record producer, and founder of her own record label & publishing company, Spoot Music. Her main instruments are voice, accordion, alto saxophone, clarinet, electric guitar, and bass. Denio has been operating her own Spaciouser Spoot Studios since she was a teenager. She has produced dozens of CDs; solo, and in collaboration with musicians and artists from many corners of the world. She appears on several dozen audio compilations world-wide. She has played at festivals, churches, schools, prisons and mercury mines throughout East & West Europe and North America, as well as in Taiwan, Japan, Hong Kong, India, Brazil, and Argentina. She’s a founding member of Tone Dogs, Billy Tipton Memorial Saxophone Quartet, Danubians, The Entropics, and Quintetto alla Busara, her Italian chamber/kitchen quintet. She toured with Bosnian group Kultur Shock since 1999, and has composed for and toured with Austrian trio Die Resonanz Stanonczi. She has been guest vocalist with The Science Group (Stevan Tickmayer/Chris Cutler/Fred Frith/Bob Drake, etc), Curlew, George Cartwright, and played accordion on a KMFDM recording. She collaborates with pan-Latin duo Correo Aereo in Ama Trio. Denio’s music was included in the John Cage Retrospective at the 1993 Biennale di Venezia. She composed the soundtrack for ‘Pangaea’s Brood’ by Thomas Edward, which won ‘Best Animated Film’ at the 1997 New York Underground Film Festival; and for Jamie Hook’s feature film, ‘The Naked Proof,’ which premiered at the Seattle International Film Festival and was named ‘Best Undistributed Film,’ in the Village Voice 2003 Annual Critics’ Poll, and premiered in Seattle at the Cinerama.. Her soundtrack for David Dorfman Dance’s ‘Sky Down’ received the 1987 NY Bessie Award for Music. Other commissions include music for Italian National Radio, the Berkeley Symphony, The New York Festival of Song, Relache Ensemble, the Austrian chamber octet Die Knodel, choreographers Pat Graney, Victoria Marks, Aiko Kinoshita, Li Chiao-Ping, Cheronne Wong and Carla Barragan, multi-media performance group Run/Remain Ensemble, UMO Ensemble, choreographer actor/clown Lorenzo Pickle. Though mainly self-taught, (both her parents played jazz contrabass) Denio was sponsored by Jazz India to study voice in Bombay in 1997 with Dhanashree Pandit Rai. She has taught workshops on improvisation and composition throughout Europe and the US. 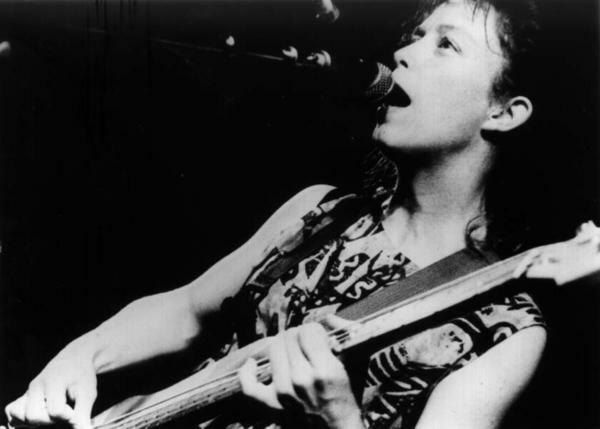 In April, 2001, she was invited by Fred Frith to be Rosencranz Artist In Residence at Mills College in Oakland, California. In July/August 2004 she was a Fellow at Civitella Ranieri. In 2008, she received the Artist Trust Paul Good Fellowship in Ireland.